Over the past few weeks I’ve spent a lot of time wrestling with installing an OpenStreetMap server. In theory this should be simple. The tutorial for the version of Ubuntu that I use makes it look easy. Instead this is the most difficult install I worked with since the days when Oracle released their shrinkwrap products with incorrect documentation. The OSM install involves five different products, some of which need to be compiled from source, and one which doesn’t work in the documented version. Fortunately, a lot of the problems I faced could be resolved via Google. Although using make only increases my love for maven. I don’t miss old-school build systems. I’ve had multiple stabs at installing OSM, which seems about par for the course. I’ve not succeeded yet, but I seem to be making progress. I thought I would document what I’ve done here – partly for my own benefit and partly for anyone who comes by on Google and is as lost as I am. I’m determined to succeed at this – it’s a challenge and a puzzle and will probably seem quite simple once I’ve cracked it. renderd – a “priority queueing system” to manage the load from mod_tile’s rendering requests. 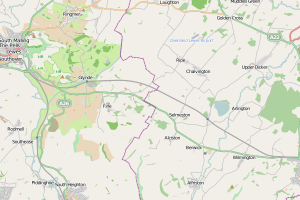 mapnik – the software library that does the actual rendering of the map tiles. The OSM installation is fiddly, which means Googling for the issues. There are also lots of fileswhere a small mistake can need debugging, for example replacing variables in DTD entities. Things like these would be easier if the installation files were opinionated – this works well in Spring Boot and Maven. The main issue I’ve had is with versions of software (which is where I think I’m currently stuck). One bug had to be fixed by using a version of mod_tile from github.com:springmeyer/mod_tile.git. 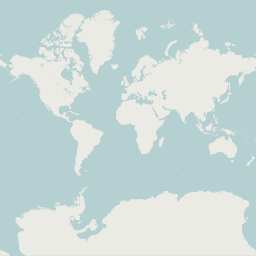 However, I am not convinced this is playing nicely with some versions of mapnik. I had decided to use a limited area of the world, rather than the full-on 29GB download. To work out what tile co-ordinates are needed by mod_tile requires a mapping from long/lat to the OSM cordinates (I used the python scripts on that page). These co-ordinates can be checked against the OSM public servers. 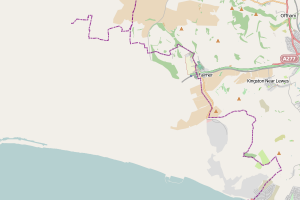 For example, Brighton is http://a.tile.openstreetmap.org/12/2046/1374.png. 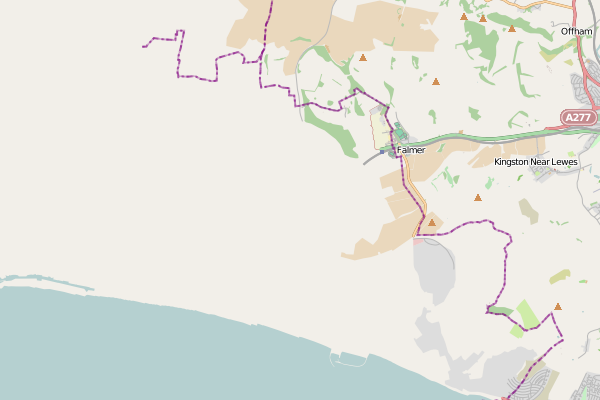 Despite my issues, I’m still excited about OSM and have a couple of ideas for using it. And I’m convinced that I can figure out what’s going wrong, although I will need to sit down and actually read the mod_tile documentation rather than trusting to installation guides and online discussions. I regret not attempting the original installation on a Vagrant VM, as this would have enabled me to start from scratch. I may have to do a little work to remove the different versions of libraries on my laptop before I can continue the installation. Hopefully, another few hour’s work should see me with a working version of OSM. Once I’ve done that, I will write up a step-by-step list of the steps required. What happens if there is a problem? Who gets notified? How do they know what to do next? If there is a problem with processing one of the records, does the job continue? What if every record is failing? Do we give up or keep going? If a run of the job doesn’t happen, does the job run as normal on the next execution? Does it catch up on the previously missed work? Should it? Can I run the job manually if I need it to? How should this be done? Who should be allowed to do it? How do they know when they should do this? What happens if the job runs more often than it should? What if it’s running once a minute rather than once a day? What happens if the job is taking too long? How can I tell if the job has failed, is paused, or is just taking a really long time? What if an execution of the job is still going on when it’s time for the next execution to begin? Can the different instances of the job interact safely? Does the job check whether it is already running? What happens if two instances of the job are running simultaneously? What happens if the job fails halfway? Can it be restarted safely? What happens if the data used by the job is changed by another process? For example if a user cancels their subscription after the job has started? What happens if one of the steps fails? Email and Billing are often third party systems. Which order should the events happen to ensure the safest failure? What is the worst possible thing this job could do if it were to go wrong? Not all these steps are relevant to all jobs. Writing code to handle every eventuality can sometimes be more expensive than clearing up the mess when things go wrong. And, obviously, a lot of the issues are handled by frameworks. But it’s worth running through these sorts of questions before writing any code. Thinking about terrible things and knowing what will happen produces more robust code.